New research had revealed that moving house increases identity fraud. 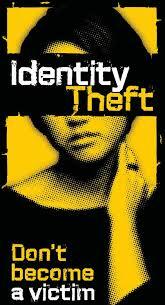 The study, by insurer LV=, shows that 20,500 households will fall victim to identity fraud this coming year- a 10% surge from 2010. And the reason for ID escalation: according to the survey more people are renting properties than buying which is increasing previous occupier fraud. Each time we move home the risk of becoming dupe to scams rises by 60%. According to the UK’s fraud prevention service CIFAS, of all ID cases 20% involved fraudsters applying for credit in the name of someone who recently moved out. The research shows that four million households are failing to redirect their mail when they move and a third of people are not informing their bank or employer of their new address. Furthermore, 8.3 million Britons are on the electoral roll at their previous address. Reduce the chances of getting targeted and don’t leave any traces of ID when you move. Make sure you redirect all your mail and inform all utility firms; including supermarket club card statements, bank card statements, local government letters, car insurance letters and junk mail. So when planning your Removals, don’t forget to forward all your mail on and stay safe from identity fraud.